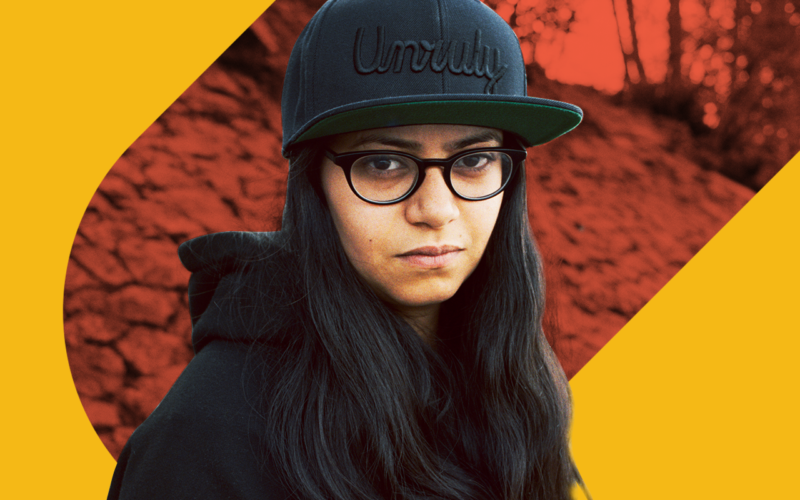 Producer and DJ Ikonika made her mark as part of Hyperdub, introducing her blend of hard-hitting drums, R&B chords, and nightclub-ready sounds to the UK scene. All of these sounds culminated in her sample pack, a collection of acoustic and digital sounds that are tailor-made for the dancefloor. We sat down with the producer to learn about her approach to crafting sounds, DJing, and more. It’s such a pleasure to have you – can you tell us a little bit about your origins as a DJ and producer? The pleasure is all mine! I started making beats and DJing around 2005 – 2006. I was sending tracks to Kode9, who was cutting my stuff on dubplate. In 2008 I released my first vinyl on his label Hyperdub, and then a full-length album in 2010. I’ve made 2 more albums for Hyperdub since, in addition to various EPs. One of the things that’s inspiring about you is your versatility. Your sound encompasses so many diverse influences like leftfield bass, drum & bass, footwork, UK funky, jungle, and R&B (to name a few). What would you say influences your sound as a producer? Being raised in London, you end up being exposed to so much underground music. Pirate radio really helped with that. Growing up I was into RnB, hip hop, garage, and dancehall. I was raving to a whole bag of mixed genres. Being a DJ in London is very easy to be honest, because you have access to an abundance of amazing club music from all over. For me, it’s very easy to play a set with many different styles and present it as one unique breed. How does DJing influence your work as a producer? The two inform each other. They may feel separated at times, but they always come back to each other. There’s a lot of duality that runs within me, and I love that I’m able to navigate the two. I could be listening to whatever’s fresh and current, and that would no doubt trickle into my productions. Or, I could look at my main DJ set and wonder what I need to elevate it, and then just go into the studio and create something that adds that vibe. It’s a great position to be in – it doesn’t feel limiting and it helps me expand my art. You’ve had some insane releases over the years on labels like Hyperdub, Planet Mu, Night Slugs, and most recently, DISRECORDS. Can you tell us what you look for in a label, and / or share any advice for producers looking to get their tunes released by established labels? It’s been a dream to release on these labels. I’m a fan of all of them and have gained friendships from them. I think further down the line, I would love to release my own stuff. I get a little impatient when I’m not able to let my music be heard when it’s fresh. I like to feel that connection with my fans, the ability to cut out the middle man and just have my fans access my music directly and easily. I’ll still release on labels but I just want to give my fans another option; this is why I love Bandcamp. With Bandcamp, I’m able to directly give people special items that may be too risky for a label. I want to release more on that platform – at the moment there’s mainly cheeky remixes and edits on there but I would love to release more original material along with more merch. Your recent release on DISRECORDS has serious dancehall influences, and I’ve also come across your remixes of South Asian and African tunes. What inspires you to work with sounds from around the world? First off, big up to 45 DiBoss for featuring on that release. He’s an incredibly hard-working vocalist and I loved his album – it was such an honor to work with him. I think the global club scene has become more connected; I feel very lucky to have young producers from all over sending me tunes. I think I’m known now to be the DJ that will represent global scenes. It’s an honor to be showcasing styles like gqom, dancehall, afrobeat, ballroom, and Dembow alongside what the UK producers are making. It’s exciting for me to be able to mix all of these in my sets. You released a sample pack with Splice not too long ago that features some meticulous sound design. Do you have any particular go-to pieces of gear or tools you rely on to make your sounds? I like my studio to be functional and I like to use everything. If something doesn’t make an appearance, I’ll often just sell it. I can always rely on my Moog Little Phatty that I’ve had for nearly a decade. I’m sure people are sick of me talking about it. It was the first thing I bought when I started making money from music. It’s great as a starting point, when I just want to get something rhythmic done first. All the sounds you can create with it are very familiar. It’s a very safe option if you need to sketch out something quickly. I’m also in love with the Korg Poly-800. It’s a cheap little synth, but full with emotion. It was everywhere on the Distractions album. It’s light and easy to use. I love that every so often, you have to re-program it with the original tape. I use the Maschine MK3 to sequence my drums. I like being hands-on and actually playing my beats, rather than just using a keyboard or clicking in patterns. It’s more of a workflow thing because I used to be a drummer. I’m into automating effects and pitch within the software, then bouncing out the stems into my DAW, where I’ll continue to apply more edits. My music uses a lot of effects, and I like using guitar pedals in the sends and returns on my outboard mixer. Just the standard Boss ones are fine for me. I also use an entry-level Lexicon rack for various reverbs. I think it’s the MX200 model. According to a Resident Advisor interview you did a few years ago, you went through a period where you transitioned your sonic identity in 2012. What motivated this shift, and any advice to producers in the process of trying to change their sound? I think I noticed my sound changing when I started using more hardware. My approached changed and I was able to experiment more. Nothing was going to limit me. I was in a position where I could gain more knowledge with every piece of gear I used. My music is now is refined to the point where nobody can sound like me. Everything is unique – just how I need it. Create a one-of-a-kind track with Ikonika’s signature sounds.